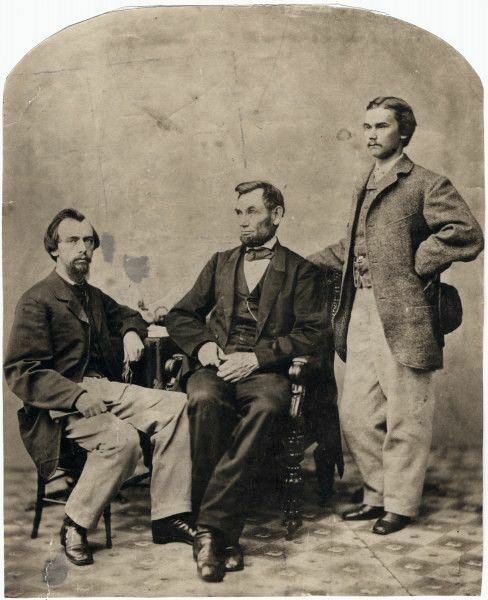 Nicolay and Hay were Abraham Lincoln's closest aides and the President treated them almost like sons. Less than three weeks before his death, John Milton Hay awoke in his cabin room on the RMS Baltic as the great ocean liner, still the jewel of the White Star Line, steamed a course from Liverpool to New York. He reached for his diary and composed one of its final entries. It was June 1905. Electric lights and streetcars lined hundreds of American towns. Phonographs and telephones were quickly becoming common fixtures in middle-class living rooms, and for a nickel city folk could gaze into large wood and steel boxes and marvel at moving picture images of prizefighters, ballplayers, and ballerinas. John D. Rockefeller and Andrew Carnegie represented the extremes of American wealth and power. It had already been two years since the Wright brothers conducted the first manned test flight of an airplane. In Germany, the theoretical physicist Albert Einstein had recently published a paper on the “photoelectric effect” was fast at work developing his theory of relativity. In Vienna, Sigmund Freud published his path-breaking volume, Three Essays on the Theory of Sexuality. After serving in the White House, John Hay had a distinguished career as author, diplomat, and Secretary of State for Presidents McKinley and Roosevelt. In his youth, John Hay could scarcely have imagined this world. A child of the western prairie, he was raised in the age of iron and grew to manhood in the age of steel. A noted poet and historian, former newspaper editor and railroad executive, Hay had served as U.S. ambassador to Britain and, since 1898, secretary of state—first under President William McKinley and then, after 1901, under President Theodore Roosevelt. He was one of the most powerful men in the world. But his bright spirit was fast burning out a frail body. In his final weeks, his Mind wandered back to the simpler world of his youth. John Nicolay was a young German immigrant, editor of the Pike County Free Press, and assistant secretary of state of Illinois when Lincoln tapped him to be his assistant in the White House. John Hay and John Nicolay were prairie boys who met in 1851 and forged a close friendship that endured over a half century. Fortune placed them in the right place (Springfield, Illinois) at the right time (1860) and offered them a front-row seat to one of the most tumultuous political and military upheavals in American history, then or since. As Abraham Lincoln’s private secretaries, Nicolay and Hay became, both literally and figuratively, closer to the president than anyone outside his immediate family. Hay cultivated a softer image. He was, in the words of his contemporaries, a “comely young man with peach-blossom face,” “very witty—boyish in his manner, yet deep enough—bubbling over with some brilliant speech.” An instant fixture in Washington social circles, fast friend of Robert Todd Lincoln’s, and favorite among Republican congressmen who haunted the White House halls, he projected a youthful dash that balanced out Nicolay’s more grim bearing. John Hays was a Illinois lawyer in his early twenties when he moved into the White House to serve as Lincoln's other private secretary. 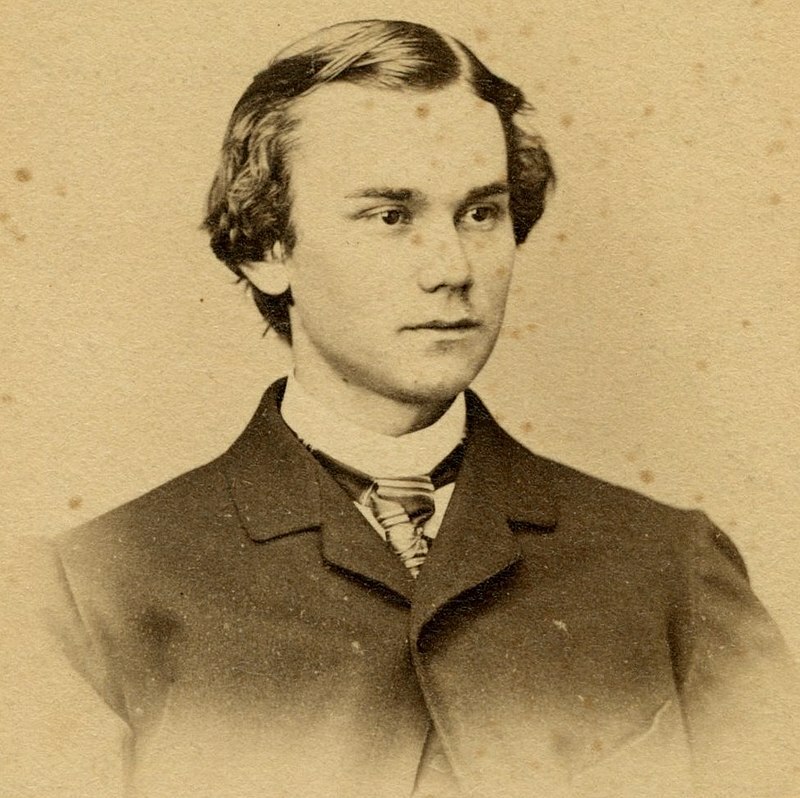 He became friends with the President's family and remained close to Robert Lincoln for years afterward. Hay and Nicolay were party to the president’s greatest official acts and most private moments. They were in the room when he signed the Emancipation Proclamation, and they were by his side at Gettysburg, when he first spoke to the nation of a “new birth of freedom.” When he could not sleep, which, as the war progressed, was often, Lincoln walked down the corridor to their private quarters and passed the time reciting Shakespeare or mulling over the day’s political and military developments. When his son Willie passed away in 1862, the first person to whom Lincoln turned was John Nicolay. 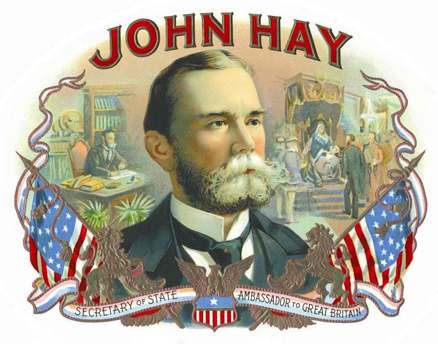 When the president drew his last breath in April 1865, John Hay was by his bedside. Nicolay and Hay had exclusive access to the President's papers during their lifetime and published Abraham Lincoln: A History in ten volumes. It remains one of the most exhaustive and personal accounts of the life of the 16th President. If anyone knew the mind of the inner president, it was the two secretaries. Witty and prolific letter writers, observant and incisive diarists, Hay and Nicolay left a remarkable record of Lincoln’s evolution as chief executive. By their later account, they “came from Illinois to Washington with him, and remained at his side and in his service—separately or together—until the day of his death. We were the daily and nightly witnesses of the incidents, the anxieties, the fears, and the hopes which pervaded the Executive Mansion and the National Capital during the war.” Better than anyone else, they knew where the president was, what he was doing, and what he was thinking at almost every turn. It is little wonder that historians of the era consult their writings freely and frequently. But their life’s work after the Civil War is a forgotten story. That Abraham Lincoln was all of these things, in some measure, there can be no doubt. But it is easy to forget how widely underrated Lincoln the president, and Lincoln the man, were on the eve of his death and how successful Hay and Nicolay were in elevating his place in the nation’s collective historical memory. While Lincoln prided himself on his deep connection to “the people”—that nebulous body politic in whose collective wisdom he developed an almost mystic faith—he never succeeded in translating his immense popularity with the Northern public into similar regard among the nation’s political and intellectual elites. The profound emotional bond that he shared with Union soldiers and their families, and his stunning electoral success in two successive presidential elections, never fully inspired an equivalent level of esteem by the influential men who governed the country and guarded its official history. To many of these men, he remained in death what he was in life: the rail-splitter and country lawyer—good, decent, and ill-fitted to the immense responsibilities that befell him in times of war. At the time of his death, many Americans even in the North thought Lincoln was at best incompetent and his administration “a disgrace from the very beginning" as a senator from his own Republican party said. Nicolay and Hay spent years successfully working to improve Lincoln’s reputation. Years later, Hay remarked that had Lincoln “died in the days of doubt and gloom which preceded his reelection,” rather than in the final weeks of war, as the Union moved to secure its great victory, he would almost certainly have been remembered differently, despite his great acts and deeds. But that is not how it happened. Assassinated on Good Friday, Lincoln became a Christ figure to many Americans who sought to make sense of the carnival of death and destruction that touched virtually every community over the preceding four years. But apotheosis was not Hay’s or Nicolay’s objective. They sought to canonize their boss as a great leader among men, not a saint or a martyr. They remembered him as an innate leader of men, with a powerful grasp of political and military strategy. He was steadfast where other men wavered; he saw the long game, where others staggered from crisis to crisis; he alone enjoyed the trust of the Northern people. Americans today understand Abraham Lincoln much as Nicolay and Hay hoped that they would. Theirs was a deliberate project of historical creation. They were “Lincoln men,” Hay asserted, and they meant to tell their story so that the rest of the world would know the man whom they had known so intimately in their youth. Nicolay and Hay viewed this revisionist tendency with alarm. While their editor and publisher hoped that the Nicolay-Hay volumes would “help unite the North and South as never before, around the story and experiences of the great President,” the authors pointedly rejected the vogue for sectional reconciliation and emphasized the salient moral and political issues that divided the two sections before, and in many respects after, the war. The war had been caused by “an uprising of the national conscience against a secular wrong” that could never be blotted out by the romance of reunion. Though the influence of their interpretation of events would wax and wane over time, it established the terms of a historiographical debate that persist to this day. As the only authorized biographers of Abraham Lincoln, they played a central role in determining how future generations would understand and imagine the sixteenth president. More than just a story of history and memory, this book also addresses the ideological journey traveled by many men who came of age during the Civil War. Jolted to consciousness by the national debate over slavery, they were America’s first “hope and change” generation. They forged new and expansive ideas about national citizenship on the fields of Shiloh and Gettysburg and in the halls of Congress. Yet in the decades that followed the war, many young men who began public life as antislavery crusaders seemed to be evolving into relatively conservative adults. In some respects, there was great consistency in this evolution. The Republican Party, an organization that would remain central to the political identities of men like Hay and Nicolay, was founded on the laissez-faire proposition that free labor is always superior to slave labor. Regardless of color, people should be afforded the right to rise or fall on their talents and industry. Most Republicans continued to embrace this free-market understanding of the world, but by the 1870s that vision was divorced from its radical antislavery roots and became a natural point of opposition to labor unions and advocates of urban and working-class Americans. During the war, Republicans had forged a strong alliance with capital and industry to subdue the South. After the war, they saw no reason to divorce the party from its interests. 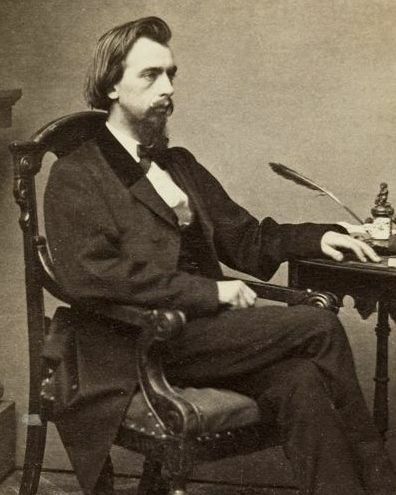 Many men like Hay and Nicolay, who cut their teeth on antislavery politics, were comfortable with the inequalities that modern capitalism wrought. In their youth, they were reformers; as they grew old, they became conservatives. It was not their thinking that changed as much as their context. Little has been written about Nicolay’s postwar career, as so much of it was devoted to preserving the memory of Lincoln. More has been written about Hay’s literary career, his friendship with Henry Adams, and his service as Secretary of State under McKinley and Roosevelt. In many ways, he was one of the most extraordinary men of his generation.